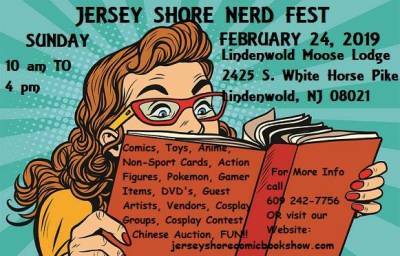 Comic book festival featuring vendors with old and new comics, trading cards, toys, action figures, posters, crafts. Guest artists, writers, costume groups. 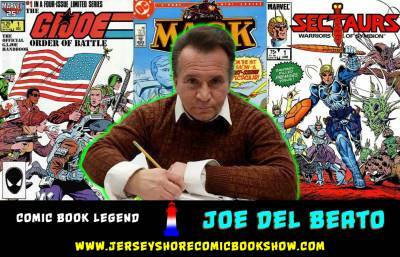 Meet Joe del Beato (G.I. Joe, Sectaurs), Philip McNulty (Marvel Comics), Neil Vokes, Gianni Boy Vee, Sean Adrednt, Dexter Weeks, Matt Parton, Eric Cooper, Mark Poulton (DC Comics) and Tony DiGerolamo (The Simpsons). Plus cosplay stars Dangerous Dan, Carter Cosplay, Star Wars Saber Guild. Raffles, door prizes, costume contest for all ages. Watch for updates on our Facebook page. 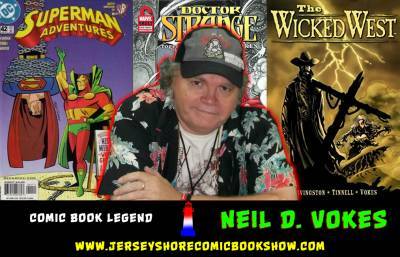 More information, http://www.jerseyshorecomicbookshow.com or 609-242-7756.